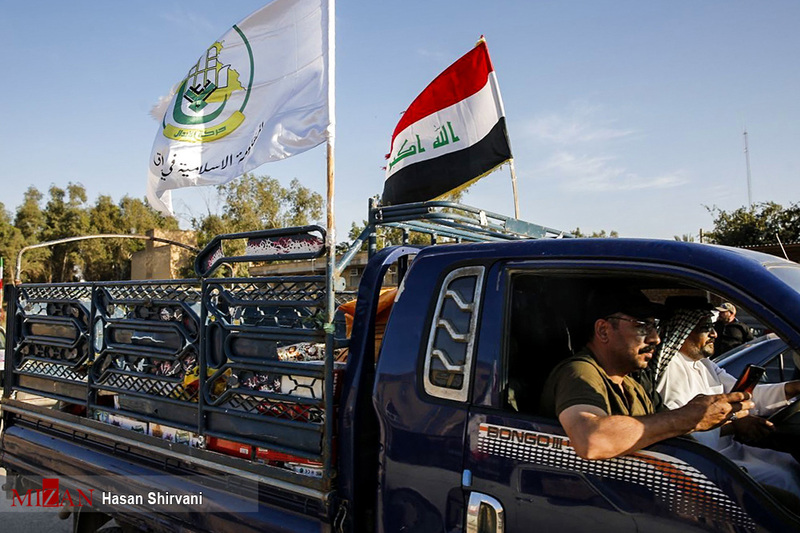 The deployment of Iraq’s Popular Mobilization Units, also known as Hashd al-Shaabi, in Iran to contribute to relief operations in western flood-hit areas has sparked controversy. 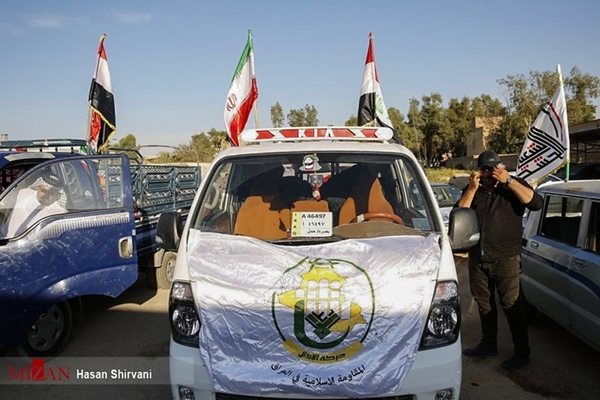 Since last week, the arrival of “relief” convoys with Iraq’s flags hoisted over them in western Iran has triggered mixed reactions among the Iranian people about the real intention behind the presence of Hashd al-Shaabi and al-Nujaba movement in Iran. According to the statement, the Iraqi popular mobilization units are seeking to divert the flows of the deluges which might hit Iraqi cities including al-Amarah city, the centre of Maysan province. But, Kayhan newspaper offered another account saying that the military unit arrived in Iran at the invitation of the popular Iranian Commander Major General Qassem Soleimani to contribute to relief operations in flood-hit areas. According to Kayhan, the Iraqi forces have already established over 20 relief centres along routes connecting Ilam to Khuzestan provinces which suffered the most during the latest deluges hitting the country. Iran’s ambassador to Iraq Iraj Masjedi said last week that over 200 Iraqi youths and tribesmen arrived in Iran on tens of vehicles. According to Fars news agency, Hashd al-Shaabi forces entered Iran on the same vehicles. Along with the entrance of Hashd al-Shaabi, some members of Iraq’s Fatemiyoun and some other movements arrived in the flood-hit areas in Iran. Though it is not yet declared officially with which governmental body the coordination has been made, the presence of the Iraqi forces has already sparked mixed reactions in Iran’s social media. The Hashd al-Shaabi hashtag has gone viral over the past days. Some Iranian users have strongly protested the presence of Iraqi forces. They referred to the eight-year war between Iran and Iraq and said during the war, former Iraqi dictator Saddam failed to hoist Iraq’s flag in southern city of Ahvaz but today, Hashd al-Shaabi has managed to accomplish the mission. Some others dealt with the story from another point of view and said Iran is equipped enough with machinery and human resources to cope with the deluges and there is no need for Hashd al-Shaabi presence. But on the other side, some Iranian users supported the presence of Iraqi forces on Iran’s soil and said the protesters are the very users who complained that neither Iraqis, nor Syrians have helped Iran during its harsh days in return for Iran’s unconditional support for them. “Now that Hashd al-Shaabi has rushed to help us, they say that outsiders have entered Iran,” they argued. The controversy over the issue has also gained momentum in Iraq. In a tweet, Iraqi Shiite cleric Muqtada al-Sadr reacted to Hashd al-Shaabi statement on its presence in Iran for relief operation in the neighbouring country and said while Iraqi people are in dire need of aid operations, it’s better to offer services to them rather than neighbouring Iranians.